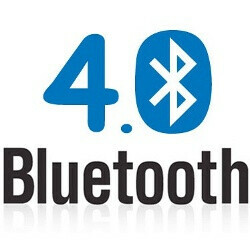 You probably haven’t heard much about Bluetooth 4.0 since the day the specification was finalized in 2010 and you have all the reasons for that - after all, there isn’t a single phone with Bluetooth 4.0 and - let’s face the facts - there aren’t all that many supporting Bluetooth 3.0 either. 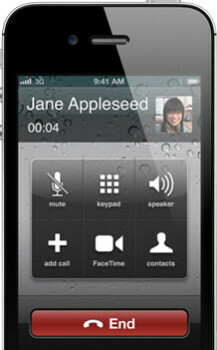 What prompted us to pay special attention to the specification, however, is... the iPhone 4S. But it’s not only that - the Bluetooth Special Interest Group (SIG) says that a lot of devices will support the new specification by the end of 2012 and here’s why it matters. Bluetooth 4.0 includes "Classic Bluetooth," "Bluetooth High Speed," and "Bluetooth Low Energy" protocols, with “High Speed” hopping on Wi-Fi to achieve the high speeds, while “Classic” is based on legacy protocols. But Bluetooth Low Energy is truly the signature feature of Bluetooth version 4.0. It doesn’t rival Wi-Fi for speed, but it rather specializes on small data transfers, which allows it to be extremely energy savvy. Pair this with a range of up to 160 feet (50 meters) and you arrive at plenty of practical implementations starting with remote control, heart-rate sensors, thermometers and ending up with automatic locking of a device based on its location. For example, if coded right, you can theoretically have your iPhone 4S lock and unlock when you go away or approach the phone. In a nutshell, BLE is an ultra low-power silicon solution draining often as low as 1% of the energy traditional BT uses and supporting 1Mbps transfers with latency significantly lower at 6ms than standard Bluetooth. The first generation of Bluetooth 4.0 products started arriving in the first half of 2011 and while the technology is said to mostly benefit medical devices, it has a much wider potential. The Casio Bluetooth Low Energy watch was among the very first devices supporting it and unlike other solutions which can only last a couple of days at best, given the low energy profile of BLE, this wirelessly connected watch lasts up to two years. The second other huge development coming with BT 4.0 is contained in the Proximity and Find Me profiles, which are designed to allow devices to communicate with each other and automatically do things like the unlocking magic we spoke about earlier via BLE. Having peaked at the rosy possibilites, we’re back into the current grim world with only the 4S supporting Bluetooth 4.0. But that’s already a lot. In late June, the Bluetooth Special Interest Group added Apple and Nordic Semiconductors to its board of directors mentioning it’d help develop BLE. Shortly after, Apple’s last generation of MacBook Airs and Minis appeared leaping from Bluetooth 2.1 directly to Bluetooth 4.0. More smartphones, tablets and laptops with BT 4.0 (including BLE) are expected to arrive in late-2011 to early-2012. Similar but proprietary technology is used by Nike for Nike+ iPod Sport Kit, with a sensor in the shoe measuring your sports performance. This shows how much more can be done via a simple protocol addition on your phone. The iPhone 4S has no NFC and that’s a bit of a shocker for mobile payment enthusiasts. But BLE has longer range, consumes less energy and could be used in a similar way. It would take merchants agreement to push BLE for e-wallets, but it’s definitely a possibility and a weak signal at the possible early death of NFC. We wouldn’t call it just yet, though, but stay tuned for more details - we’ll share them with you as soon as as we get to spend more time with the iPhone 4S. Are you kidding? Please tell me what the Bump app does NOT do? Can send photo/music/contact/app/social network info/calendar events all over bluetooth, and with any device (ios, android, etc). You are NOT sending videos through bluetooth (wait days for that transfer to finish), so what does your bluetooth sharing allow? Furthermore, what are you talking about 2014? The article says the 4S has this capability right now...as in at launch in 2011. Both NFC and BLE need to be proven in the field, so let's leave that to fate shall we? Yes bump could work but how much brain power do you give isheep credit for?! Two of them there clashing their iphones off each other in caveman fashion to work the bump app will always result in broken screens! Playing your backup, reserved, just in case *pple really drops the ball and only announces *one* phone *without* NFC card, eh phone arena? ...the death of NFC?? Ha. Why would you want your payment system to have a larger range? HURR DURR let me just broadcast my clearly secure payment info 50m around me. There is absolutely no way that it can ever be decrypted.. The crazy thing about the BT4.0 hype is that ANT+ has been doing this for years. Check out devices from Garmin, Adidas, Timex? All using low power wireless solutions. And now PhoneArena are becoming fanboys, just as usual!